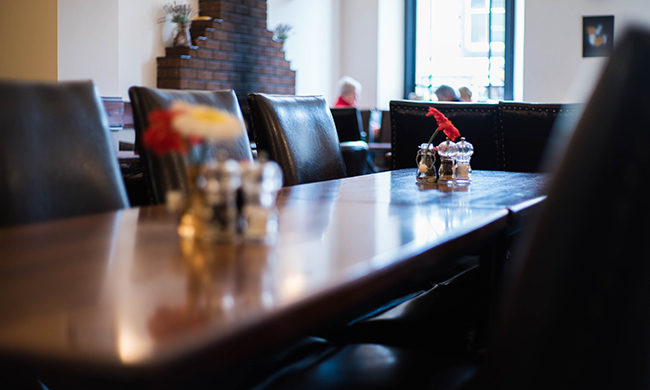 At the Old Bank Coffee House and Restaurant, we can seat up to 50 in our main restaurant area. Our small restaurant holds 20, perfect for small private functions. 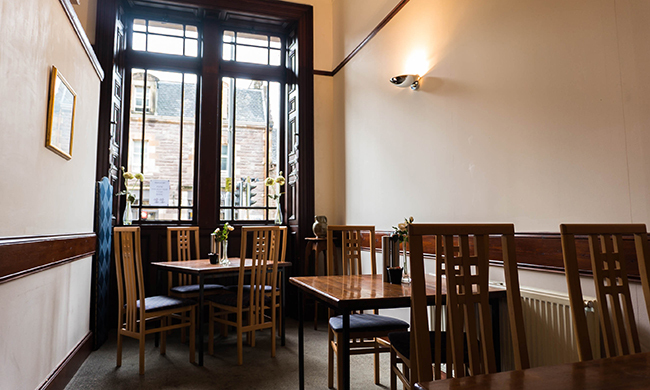 Built as a bank in the 1870’s, our restaurant has tall light windows and high ceilings. For cold winters days, we have a wonderful open log fire situated in our main restaurant. In our kitchen we have a passion for food. We use fresh local produce from small independent suppliers where possible. The local butcher supplies us and the local baker bakes our fresh Artisan bread. Children are catered for with a special Menu or can choose smaller portions from the main menu. 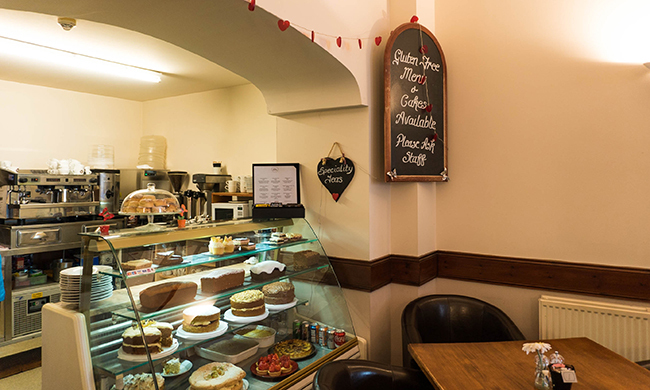 Our cakes are hand baked on the premises and the choice in our chill cabinet can usually spoil any diet. We have a private room available at no charge for small private functions. Get in touch to enquire about booking for any special occasion lunch or children’s party. We also cater for coaches. Please contact us for menus.